Our mini crazy golf course is perfect for your corporate fun day, school fair, wedding reception or private party. It can be used inside or outside. 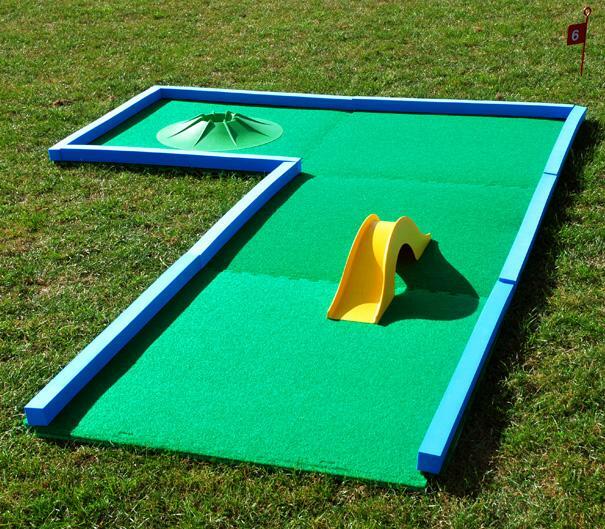 Included are 9 holes, each with some challenging obstacles. Mini crazy golf is great fun for all ages, although children under 8 should be supervised at all times. We also include at least 1 supervisor with the crazy golf course. Prices start from £250 for a midweek daytime hire. We arrive around 2 hours before the start of hire to setup. Our supervisor will explain the rules to your guests and be on hand to help with any questions. We can also supply the crazy golf with a PA system and radio microphone to make announcements and compere the event.